Ellie over at Coffee and Roses has tagged all of her followers to do The Interview tag so I decided to do it. Ive had a pretty productive day today as I picked out my wood flooring for my bedroom with my Dad and now its all paid for and due to arrive tomorrow. It actually feels like we’re making progress with this decorating malarky… we’ve only been in the house nearly four years and its untouched!! Urgh, I hate decorating. I love designing what I’m going to put in the room and picking things out interior wise but the physical decorating I hate. Its just so messy. I’d rather leave it to the men in my house, if I’m honest. 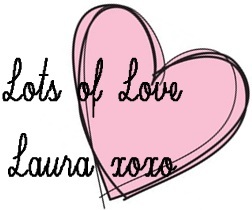 I created this blog because I love beauty and all things girlie and because my friends often ask me where I got things from and for my hints and tips on make up etc so I thought I would start writing about it instead and sharing my views and ideas with the world! For a few years I was a sort of silent member of the whole You Tube and beauty blogging community. I watched all these videos and read the posts and thought, ‘I could do that’ but I just didn’t have the confidence to put my thoughts out there. I think because I’m plus sized and most of the girls doing OOTD posts, etc are slim, I thought no one would want to read what I have to say, but apparently they do which is great. I follow blogs that are written by good, interesting writers who have a passion for what they’re writing about. I like good sound reviews, anything with a preppy or vintage feel and good tips that actually work. I like to be able to trust the persons opinion as I often buy items based upon good reviews of products that seem like they would be right for me. I don’t like bloggers who only blog about free products they have been sent or who contact companies asking for free products as I don’t think their opinions are always completely honest and their reviews are often not very thorough. Plus, that’s not what blogging is about! 3. What is your favourite makeup brand? Mascara, black in colour of course. At the moment I’m really enjoying using Volume Million Lashes by Loreal in Extra Black but my all time favourites are Too Faced Lash Injection Mascara and YSL Faux Cils, both in black. I don’t have just one favourite colour… I really like pink, white and gold. 7. What perfume are you wearing? Jamaica as its gorgeous and colourful, with white sand, a beautiful sea and lovely people. 10. Write the last question and answer it yourself.